The power of shared content is unparalleled. Reposting on Instagram – otherwise known as Regramming – can be an excellent addition to your marketing strategy. This tactic helps you promote branded, co-marketed, and user-generated content. It can also help you diversify your profile, boost engagement, and leverage new marketing strategies. But before we dive into the benefits and best practices of reposting on Instagram – and how our free Regramming app make this easy to do – let’s define and discuss the Regram. But before we dive into the benefits and best practices of reposting on Instagram, let’s define and discuss the Regram. 1. What is a regram? You can Regram a post in a few ways. But, if this method is becoming so popular, why doesn’t Instagram offer an organic sharing option? 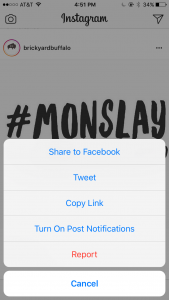 Well, take a look at the options Instagram does offer – Share to Facebook, Tweet, Copy Link, etc. Clearly, Instagram isn’t opposed to their content being shared – on an external platform. The reason they don’t offer native sharing, though, is because they’re very passionate about their feed being “instant,” hence their name – Instagram. The idea of Regramming takes away from that “in the moment” feel and introduces content that was posted at another time. Are they against it? Obviously not. Otherwise, they wouldn’t allow other apps and programs to enable you to Regram. But, they also don’t make it super easy. So, how you can get around this restriction? Let’s take a look. The first method is to Regram content using Sked. If you’re already scheduling content through Sked, the easiest way to introduce shared content is to choose the upload ‘via Instagram URL’ option when you’re creating a post inside the app or use Sked Social Regram. Sked Social Regram is a Chrome extension and makes reposting on Instagram simple and straightforward. 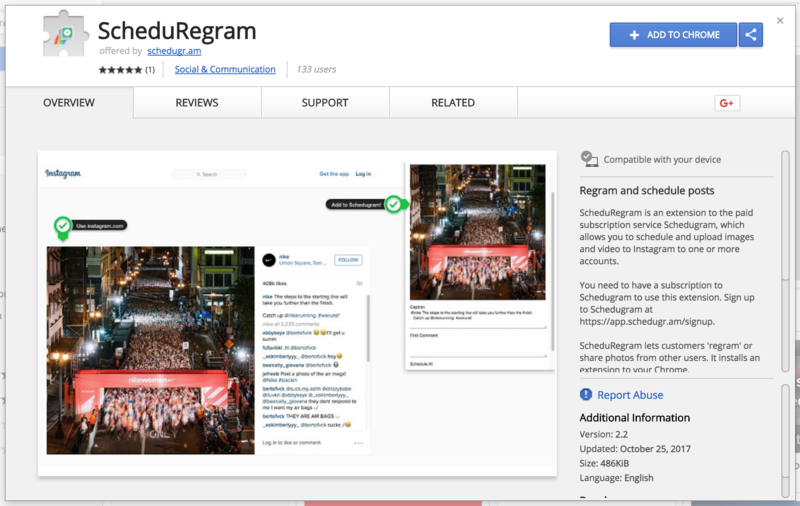 To get started, download Sked Social Regram from the Chrome Web Store. 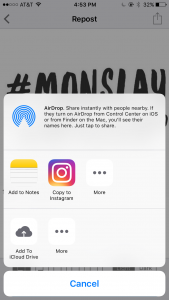 Next, open the Instagram photo or video you’d like to share on your computer. Tap the Sked icon in your browser (red arrow below) to open the Regram screen. Then, select your account, write up a caption, and schedule the post (green arrow). The next option is to manually Regram. Take a screenshot of the image you wish to share, and click the camera button to share it on Instagram. Note: This option only works for photos, you’ll need to use another method to Regram videos. Once the photo is saved to your phone, you’ll need to crop out everything but the image. You can do this through your Photos app on your phone or through Instagram’s photo editor. While the manual Regram method is simple, it’s also the easiest to bypass attribution. Don’t forget to caption the Regram and tag the original poster. We’ll explain more in our best practices section below. The third option is to use one of the other external Regramming apps that are available. The most popular is Repost For Instagram, although there are multiple options in the App and Google Play Stores. Set your reposting preferences, like the color and location of the attribution, and write your caption – Don’t forget to tag the original account! 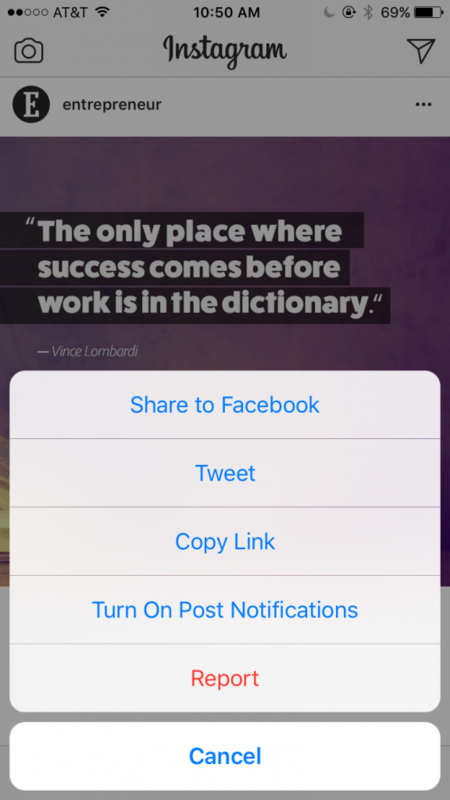 Regramming is no simple click of a “Share” or “Retweet” button, but it’s still pretty straightforward given the right tools and apps. But, tools aren’t all you need for a successful Regram – you must also know how to properly share someone else’s content. Before we dive into how to use Regrams, let’s chat about some best practices. Regardless of which method you choose to repost Instagram content, follow this Regram etiquette to ensure you’re meeting your moral and legal obligations online. Reposting on Instagram walks a fine line between sharing and stealing others’ content. Thankfully, a few simple measures can protect your business and social media accounts from public scrutiny and potential legal action. This is perhaps the most critical practice when Regramming. Asking and attributing can make the difference between sharing someone’s Instagram post and stealing it altogether. When you find a photo that you want to Regram, comment with a simple ask. This could be “We love this photo! Can we repost it?” or “Thanks for sharing our product/service/brand. Can we Regram your photo?” There’s no right or wrong way to ask, as long as you’re kind and courteous. Wait for them to say yes BEFORE reposting it. Asking is not enough – you must receive confirmation before Regramming. If they say no, you must respect that, too. Hot tip: If you’re using Sked Social Regram, the tag will be automatically included in the Regram. But, it’s still good practice to mention it in the caption. Some brands tag the source account in the image, too. Getting approval for a Regram is common courtesy. But, it also has other benefits. For one, you feature other people’s work, which could lead to a marketing partnership or co-branded campaign. On the other hand, Regrams on personal accounts can catch the eye of big-name brands – leading to sponsorships and brand ambassadorships. We’ll talk more about these benefits below. If you’re going to share someone else’s content, don’t change it. Respecting the original owner and his or her photography by leaving it as-is is essential when reposting on Instagram. If you’re tweaking a user’s post for user-generated content (UGC), which we’ll discuss below, keep your edits to a minimum. Definitely, don’t change the color or crop, and if you must add text or overlays, don’t let those take away from the original photo. Your Regrams are still technically other people’s “property.” If you disrespect the right to Regram, you’ll likely not receive approval from others in the future. Reposting on Instagram can be fun (and can take the pressure off of continually having to come up with content ideas), but you shouldn’t fill your entire Instagram profile with others’ content. If you’re introducing Regrams to your Instagram editorial calendar, consider planning out your reposts for once or twice a week. This will ensure that you don’t hop on the Regram train every time you lack content ideas. And if you use the Sked Social Regram app, you can schedule your reposts with ease using Sked’s drag-and-drop social media calendar. Just regram the image(s) you want to use and save them as drafts. Then, go into Schedugram and open the calendar. From there you’ll be able to drag your regrammed post onto the social media calendar and schedule it to post anytime you want. You’ll also see all your other scheduled posts, so you can create an engaging mix of original and regrammed content for your feed. 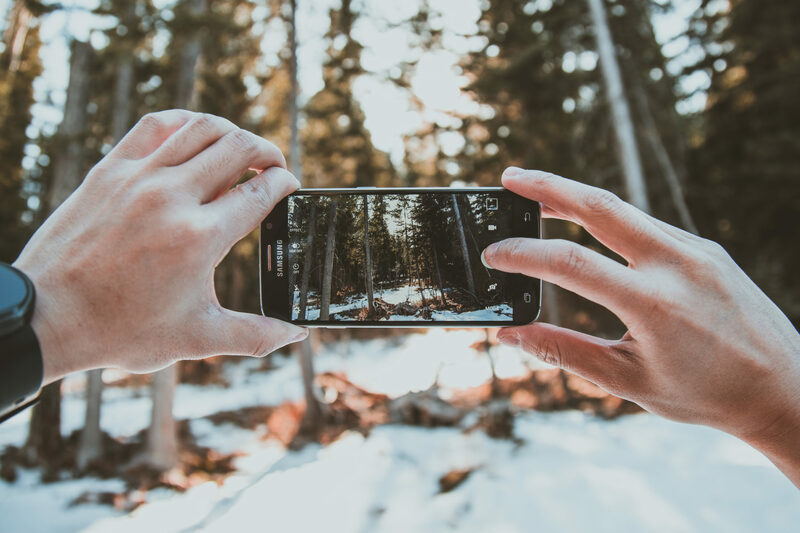 Now that you know all about reposting on Instagram, let’s talk about how to leverage regrams to boost engagement, increase brand awareness, and mix up that marketing strategy. 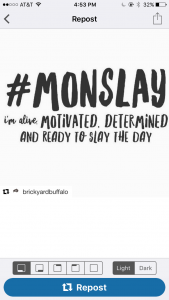 There’s a lot of content posted on Instagram each day. (That’s a lot of potential Regramming right there.) But, just like you should strategize your organic material, you should also have a strategy when reposting content on Instagram. Don’t merely go out and grab a photo to share. Start by reviewing your editorial calendar and seeing where you can plug in a Regram or two per week. This will dictate when and how often to repost Instagram content in a way that doesn’t disrupt your current strategy. …looking to share user-generated content? …working on a marketing campaign with another brand and want to repost their photos of your brand or products? …simply wanting to expand your posting strategy to include cool, valuable content for your audience? Before you start reposting on Instagram, you need to understand your “why.” This will help you discover valuable content to share and provide direction for your hashtags and captions. Let’s review a few possible goals – and benefits – of reposting. User-generated content (UGC) is content shared by consumers, customers, and clients that features your product or service. 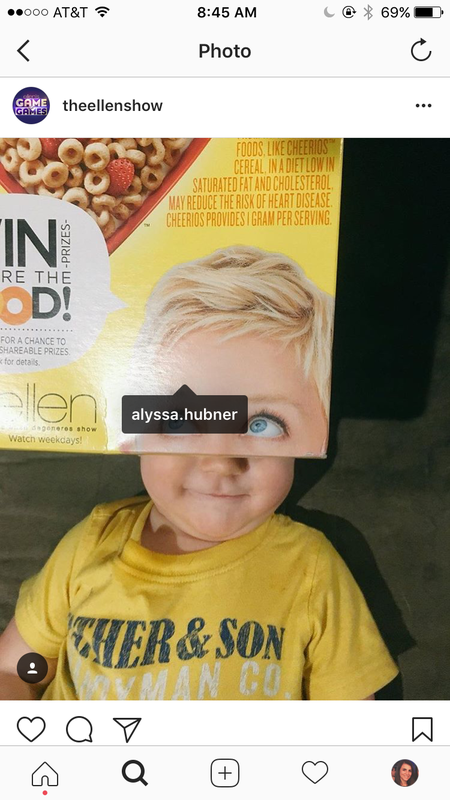 UGC is a great way to build brand authority among your audience and market your products in a more authentic, real-life way. UGC is also valuable as a marketing asset. According to Forrester, 70% of consumers trust each other over brands when making purchase decisions. Thankfully, Instagram makes it easy to discover, collect, and share UGC. 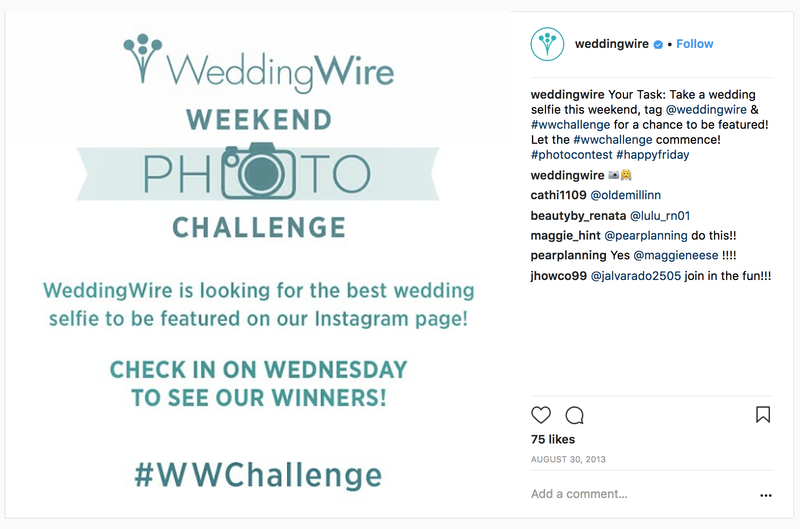 If you’re new to Instagram or have yet to see any photos of your product or service on social media, you can jumpstart UGC posts by encouraging your customers to share. Market your #BrandedHashtag all over Instagram. (Did you know that 70% of Instagram hashtags are branded? They’re obviously valuable for both brands and consumers!) Include your branded hashtag in your bio, post about it frequently, and encourage your customers and audience to post it in their captions. This will make it easy to “collect” UGC later on, as every post will be tagged. Run an Instagram photo contest. Give your audience a reason to share their products by offering a prize for a random winner. Or, if your budget is on the smaller side, make sure you tell your audience that you’ll be sharing their images – with attribution! – on your profile. The exposure alone could motivate some people. Once your customers and followers start posting about your product or service, you can start searching for and “collecting” your UGC. Hop into the Search page on Instagram and look for various tags of your brand or service. 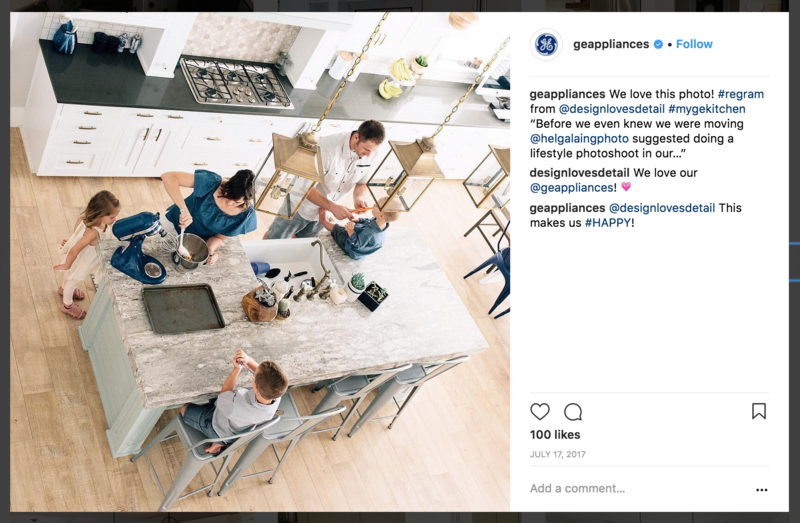 For example, when I did social media for GE Appliances, I looked for #mygekitchen (our branded hashtag), #gekitchen, #geappliances, #mygeappliances, #newgeappliances, and more. You get the picture. I also looked at the “tagged” page to see if any customers had directly tagged @geappliances. As you discovered potential UGC, take a second to comment and ask for permission to post. Don’t make a note of an image or account until they’ve said, “Sure!” Once you receive approval, you’re good to go. Sharing user-generated content is primarily how brands and businesses use Regrams. Consumers love showing off their photography and product usage, and brands benefit from a “humanized” display of their brand. If you’re added Regrams to your Instagram marketing strategy, UGC is a great place to start! Alongside these strategies, many brands are teaming up with similar businesses to promote products and services together. These partnerships could be from a variety of different relationships. 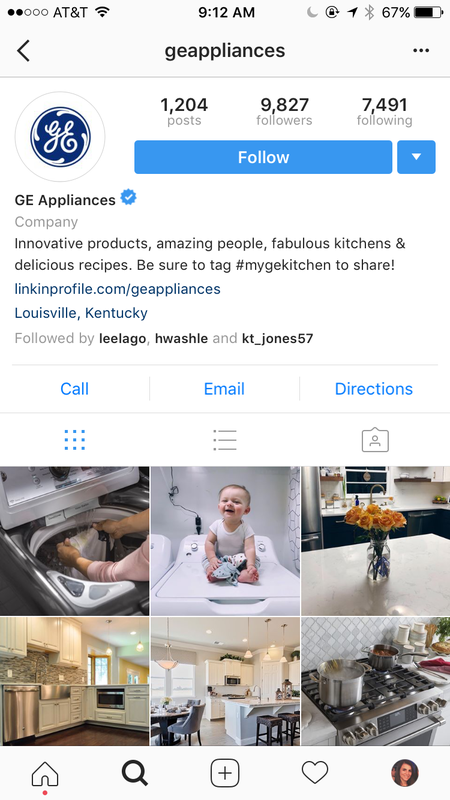 For example, GE Appliances sometimes shared content from (and tagged!) food and design bloggers that featured their appliances. Co-marketing and partnership campaigns are great for both parties because they attract new audiences, increase engagement, and ultimately drive conversions. This is an easy win-win for both parties. But, these wins only happen if you partner up with the right company. A common theme or style. Make sure your partner brand shares a similar marketing aesthetic as you, especially on Instagram. You’ll be reposting each other’s Instagram posts, and you’ll want it to fit seamlessly with your content. A compatible personality. Your Instagram is an extension of your brand’s personality. If you’ve cultivated a particular voice and character on your Instagram, find a partner that shares the same quirks and disposition. Not only will your Regram photos and captions compliment each other, but your audiences will respond positively to the content you share. A lively audience base. The core goal of co-marketing is to access and engage a new audience base, efficiently expanding your brand’s reach on Instagram. If you partner with a brand that doesn’t have a large or lively audience, you won’t be able to expand yours, either. 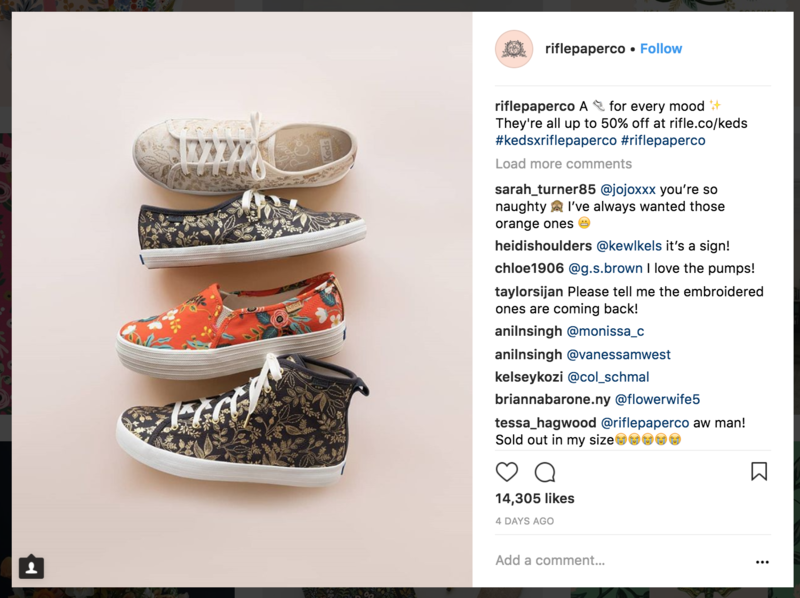 Find a co-marketing partner that taps into a new audience that’s eager to engage, and start reposting on Instagram as soon as possible to draw in likes, comments, and shares among both audiences. Reposting on Instagram doesn’t always have to have a promotional intention. Sometimes, you may just want to mix up your content and share new, exciting content with your audience. Regramming is another way to provide value to your followers (which is just as important as selling and promoting your product or service). The strategy can help you tap into other’s expertise and repurpose content that you can’t provide yourself And if you’re stumped for ideas, Regrams can help you keep your posting consistent without having to scramble for new material. If you’re seeking out new content to share, start by defining a few hashtags that are relevant to your industry and business. For example, if you’re a yoga instructor and you want to start posting about dietary health, perhaps you’d jot down #mealplan, #eatwellbewell, #eatbetter, #healthyeats, #healthydiets, and more. Whichever tags you choose, follow them on Instagram so that you stay updated with their activity. Then, whenever you come across an image you want to repost, you can share it alongside your organic content. Worried about how you’re going to remember all those great hashtags you’ve found … and dreading the thought of having to type them out every time? With our hashtag manager, you don’t have to do either of those things. It keeps all your hashtags in one place, lets you separate them into groups, and when you want to add them to a post, you can do it with just a couple of clicks. 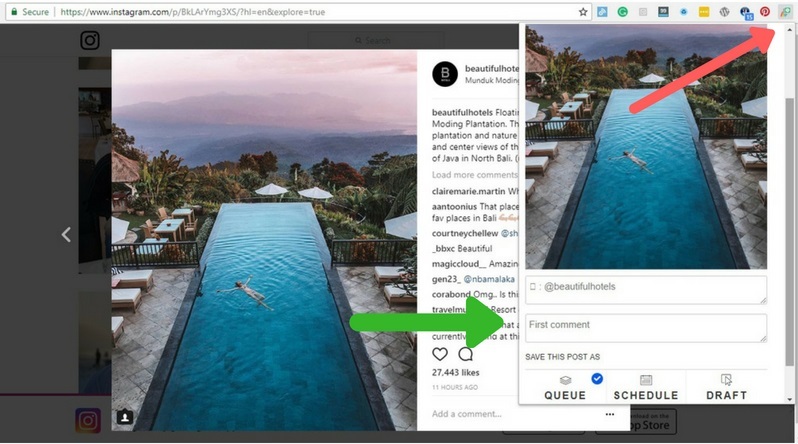 Reposting on Instagram is a simple strategy you should add to your overall Instagram marketing efforts. Not only does it diversify your published content, but it also helps build brand credibility among your audience, promote your products in a “human” way, and partner with new brands and businesses.